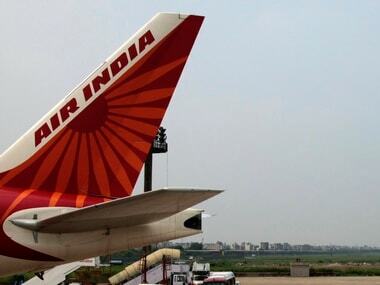 New Delhi: The government has asked the Tatas if they would be keen to acquire a stake in the ailing Air India. But its own house is not in order. A proposal for buyout has been made without there being any clarity within the government on how much stake should be offered to any investor. Should the airline be sold lock, stock and barrel (100%) or should only a part of it be sold? There is also the view expressed by the Ministry of Civil Aviation as well as Air India itself that disinvestment need not happen at all to turn around the airline. Yet another stumbling block in this entire process could be the view of some within the government that foreigners should not be participating in any bidding process for the AI disinvestment. How much of the airline is to be sold, who all can participate in the selloff process and whether the divestment will at all happen or not – everything is up for discussion as of now. Till the government decides on modalities of the sale, no serious bidder would come forward, however keen he may be to buy Air India. A person close to developments told Firstpost that the proposal to the Tatas was made about three weeks back. He also said that if at all the Tatas consider buying Air India, their long-time partner Singapore Airlines (SIA) will be an integral part of the process. Will those opposed to involving any foreign participant in the disinvestment process of Air India want SIA to have a piece of India’s national carrier? This person said that the top brass of the Tatas have been in discussions with the SIA experts on whether Air India’s acquisition makes sense. “The ball is in the Tatas’ court now. And the Tatas have been thinking, talking over with SIA about the pros and cons of this move. Extensive knowledge of global aviation lies with SIA, it understands emerging markets well. The talks right now are about whether SIA will get dominance on key international routes through Air India purchase. The two partners are also studying the numbers of Air India, evaluating various scenarios,” this person said. 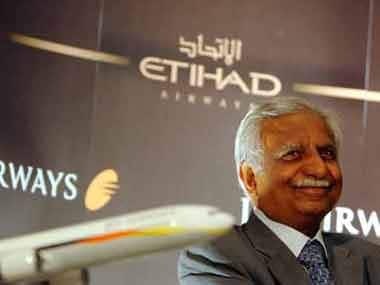 Whether SIA participates directly by acquiring some stake in Air India on its own or whether it becomes part of this deal through its association with the Tatas (the two already have a partnership in full service carrier Vistara), one thing is clear: the Tatas will bid for Air India only in partnership with SIA. Anyway, there are several other puzzles to solve before the Tatas' move forward in this deal. How much debt will the government write off, to make this deal a sweet one for the former owners? Remember, Air India is sitting on a debt of close to Rs 50,000 crore and the Niti Ayog proposal which first suggested the AI disinvestment did speak of a haircut. How much, is what is worrying all those involved in this process. The person quoted earlier said “the government has offered Air India to the Tatas with a haircut”. About three weeks back. Tata Sons’ Chairman N Chandrasekaran met finance minister Arun Jaitley, where the FM proposed this, the person quoted above said. Thereafter, Chandra also met Civil Aviation Minister Ashok Gajapathi Raju. “This was an in-principle meeting, where the government wanted to find out if the Tatas would be interested. 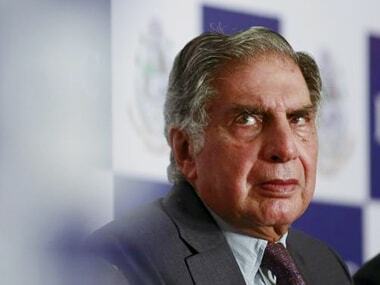 The meeting was with Chandra but obviously the message was being sent to Ratan Tata...but unless the Tatas have some figures to work out the purchase math, nothing will move forward,” this person said. 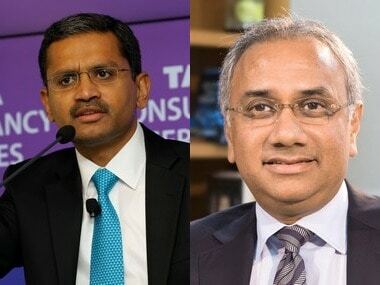 But why would the Tatas be interested in acquiring stake in a third airline – Tata Sons already owns 51 percent in Vistara and 49 percent in AirAsia India? Besides, Chandra is still grappling with companies he has inherited across the vast Tata group and aviation is still not a core business for the house of Tatas. Money is another consideration. The Tatas have put in over Rs 1,600 crore in the two airline ventures till date and may find it rather tough to generate another sizeable chunk of funds to invest in Air India. Unless the purchase math works out in their favour. Or, in other words, the buyout enables the Tatas and SIA to synchronise routes, international flying rights, assets and liabilities to make a profitable new venture out of the ailing Air India. Yet another consideration could sour this deal: If the government were to divest only 49 percent equity in Air India, the Tatas may be reluctant to pick up the bait since they would then not get management control. The Tatas already run two joint venture airlines — AirAsia India and Vistara — and may want to buy into Air India not just for its assets but also for emotional reasons. Remember, group patriarch Ratan Tata had earlier piloted two attempts to buy back Air India from the government but remained unsuccessful each time. 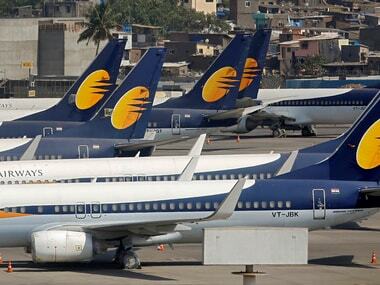 Then, two decades later, the Tatas forged the two greenfiled airline ventures when the government relaxed the caps on foreign airline investment in Indian carriers. But both these JVs are relatively small operations, compared with Air India which is the third largest by passengers in the domestic market. As this article notes, the Tatas have a long history in aviation. JRD Tata began the first air mail service by an Indian company – operating a flight between Karachi and Mumbai in October 1932. This was followed by passenger services within the country, and heralded the birth of Air India. Tata Airlines became a public company in 1946 and was renamed Air India. Its iconic mascot Maharaja was also created in the same year. After Independence, the government bought 49 percent stake in Air India in 1948, and nationalised the carrier in 1953. However, JRD Tata remained its chairman until 1978, when he was removed from the post by the Moraraji Desai-led Janata Party government. Almost a decade later, Ratan Tata was named the chairman of Air India. He held the post for three years, from 1986 to 1989.